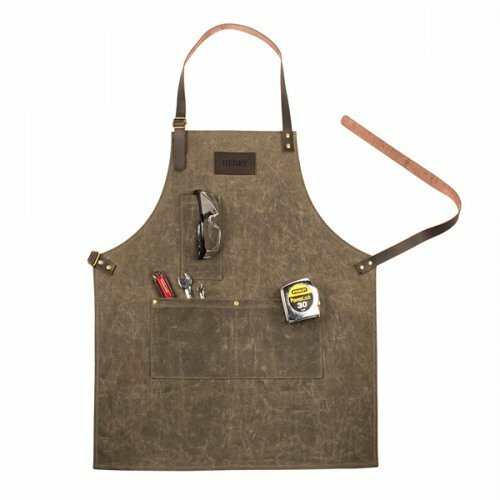 Whether he's working in the garage, workshop, or the garden, this personalized men's waxed canvas apron makes the perfect accessory. Great as a gift for groomsmen or for the groom himself, this apron is made of wax canvas with leather accents, and includes three pockets as well as adjustable straps at the neck and waist. Perfect for holding and organizing tools.